We are able to offer a solution for you to be able to purchase Travel Insurance online through our partner MPI Brokers. They are an established and well-respected provider of travel insurance with a specialist knowledge of the ski industry. 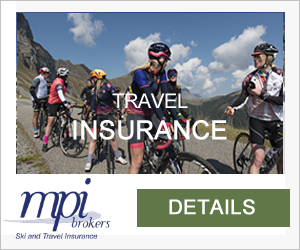 It is essential to be properly insured when partaking in an activity holiday – and indeed it is a condition of booking with Bike Weekender that you have in place an adequate travel insurance policy that specifically covers you for cycling. Questions about Travel Insurance on your Cycling Break?